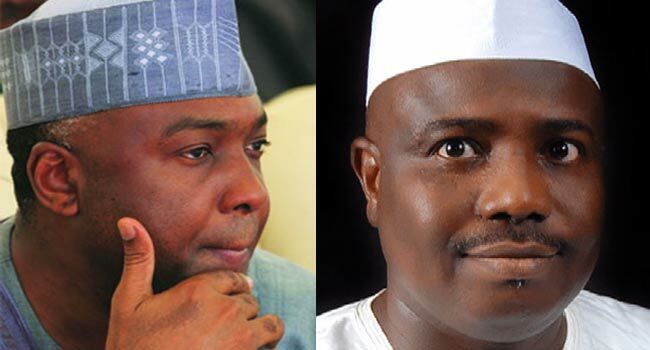 The national leader of the All Progressives Congress (APC), Bola Tinubu, says Senate President Bukola Saraki and Governor Aminu Tambuwal of Sokoto State defected from the party to the Peoples Democratic Party because the APC refused to give them automatic tickets for the 2019 elections. He said this on Sunday in a statement entitled “They Go Away Because We Go the Right Way”. “Governor Tambuwal’s exit can be distilled to one cause. He covets the presidency. However, he had not the stomach to challenge President Buhari in a primary. Tambuwal felt further insulted that he would be compelled to face a direct primary just to retain the governorship nomination,” Tinubu said. 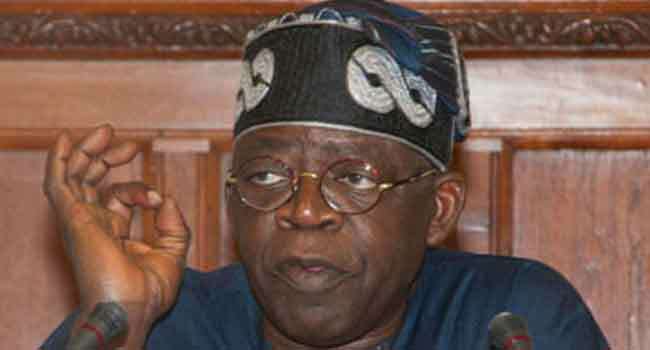 According to Tinubu, the situation is similar for the Senate President and he claims the PDP promised him the Senate Presidency. He said, “Much the same for Senate President Saraki. Returning to the PDP, he harbours dreams of the presidency but Tambuwal’s ambition will dwarf Saraki’s when the two collide. If Saraki had remained in the APC, he would be unable to reclaim his Senate seat let alone the Senate Presidency. He thus bolted because he lusts for the presidency but was promised by the PDP, at least, a return to his position in the Senate”. He faulted the arguments of both Saraki and Tambuwal that the APC had failed to live up to expectations. He said, “For Saraki to talk about lack of governance is for him to deny who he is and the position he holds. This man stands as Nigeria’s Number 3 citizen. Clothed is he in ample power and influence. “If he saw areas where government and the nation needed help, he could have easily applied his energies to these areas. He could have drafted legislation and easily got laws passed.